Norway is one of the leading countries conforming to the guidelines from the Bologna Process in European higher education. The degree system based on the Bachelor's, Master's and PhD structure has been successfully implemented, together with the ECTS credit system. UiT The Arctic University of Norway uses a system of credits (studiepoeng) for measuring study activities, considered equivalent to the European Credit Transfer and Accumulation System (ECTS). 60 ECTS credits (studiepoeng) are allocated to the workload of a full year of academic study, equivalent to 1500-1800 hours of study. 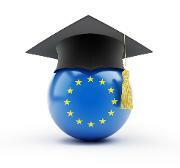 30 ECTS credits are normally allocated to one semester’s full-time study. Each course unit has a workload of 3 - 30 credits (ECTS). The academic year normally lasts for 10 months and runs from August to June. The Norwegian term is "studiepoeng". 1 ECTS = 1 studiepoeng. The workload of each course is based on an estimate of the total time required for completing studies and exams (lectures, seminars, readings, individual preparation etc.). There is no exact national or institutional standard for measuring of workload. Workload estimates are based on custom and tradition within each academic field. The master's degree is normally obtained after two years of study (120 ECTS) or (90 ECTS) only for Master of Laws (LL.M.) in the Law of the Sea, following the completion of a bachelor’s degree. A master’s degree programme includes independent work (normally a thesis) of between 30 and 60 ECTS. All degrees require, at minimum, that international students meet the Higher Education Entrance Qualifications for foreign applicants. For more information about our admission procedures for international applicants, see our website Admission procedures. The bachelor's degree at UiT is awarded after three years of full-time study (180 ECTS). The master's degree is normally obtained after two years of study (120 ECTS) or (90 ECTS, only Master of Laws (LL.M.) in the Law of the Sea), following the completion of a bachelor’s degree. A master’s degree programme includes independent work (normally a thesis) of between 30 and 60 ECTS. The one-tier Master's degree at UiT is awarded after five years of full-time study (300 ECTS). An important part of this degree is independent research work equivalent to 30-60 ECTS. The Doctoral degree Philosophiae Doctor is normally obtained after three or four years of study, following the completion of master’s degree programme or a professional degree/programme. Various professional qualifications are awarded. These programmes/degrees are of 4-6 years' duration and cover both regulated and non-regulated professions. A number of assessment methods are in use at UiT, the most common of which are written examinations, oral examinations, portfolio assessments, home examinations/assignments and joint project papers written in collaboration with fellow students. The written and oral examinationss set at the university last from one to eight hours. The different assignments and papers to take home vary from a work period of a couple of days to a whole semester. The course lecturer will provide supervision during the work period. Excellent An excellent performance, clearly outstanding. The candidate demonstrates excellent judgement and a high degree of independent thinking. Very good A very good performance. The candidate demonstrates sound judgement and a very good degree of independent thinking. Satisfactory A satisfactory performance, but with significant shortcomings. The candidate demonstrates a limited degree of judgement and independent thinking. Fail A performance that does not meet the minimum academic criteria. The candidate demonstrates an absence of both judgement and independent thinking. For some examinations a pass/fail grade is given. There is no transfer of grades from one grading scale to the other. Upon graduation every student receives automatically and free of charge a Diploma, a Transcript of Records and a Diploma Supplement. The Diploma Supplement is issued in English. Norwegian Agency for Quality Assurance in Education (NOKUT).